A mystical land of shimmering temples and a picturesque of paddy fields. 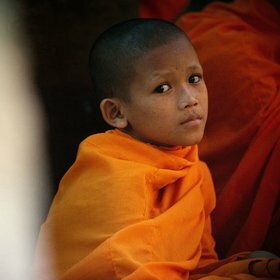 The Southeast Asian Kingdom of Cambodia has ascended from the ashes of decades of genocide and civil war to become one of the region’s most vibrant and most diverse tourist destinations. The country is most famous for being home to the world’s largest religious building, Angkor Wat, Cambodia’s breathtaking temple which is a symbol of national pride. After breakfast, visit a Cambodian lacquer ware workshop followed by Angkor Silk Farm. Learn about the process of silk making from the mulberry bushes cultivation to the production of silk fabrics and accessories. Spend the rest of the afternoon doing a fun filled activity. You may choose One Option Activity: Option A: Cooking Class : Learn to prepare Khmer dishes &amp; a visit to the local market. Option B: Charity Work : For the humanitarians, pay a visit to an orphanage. Option C: Eco-tourism : Oxcart rides, fishing and rowing in the ponds, cycling outdoors. Option D: Ceramic Workshop : Create your unique piece in a hands-on ceramic lesson. Breakfast and transfer to Phom Penh, the capital of Cambodia by Giant Ibis public bus. Upon arrival, transfer to visit the Royal Palace (proper attire) and Silver Pagoda. The Royal Palace is the official residence of King Norodom Sihamony. Following this, you will visit the Tuol Sleng Museum, known as the Museum of Genocidal Crimes.It was used by the Khmer Rouge as a detention and torture center in the late 1970. Today, the building houses exhibits, paintings and photographs of many of the victims. Transfer to the Killing Fields of Choeung Ek – a soccer-field-sized area surrounded by farmland. The killing fields contain mass graves, for perhaps 20,000 Cambodians, many of whom were tortured before being killed. Breakfast. Free for leisure activities until your departure transfer to the airport for your homeward flight to Singapore. Arrive home with happy and fond memories of your tour with CTC Travel. Upon arrival at Siem Reap Airport, you are to clear customs and immigration. After which, you will be greeted by our local tour guide and proceed to visit Cambodian lacquer ware workshop followed by the Old Market. Breakfast and onwards to visit the ancient fortified city of Angkor Thom (Great Angkor or Great City), was built by Angkor’s greatest King, Jayavarman V11. Located within Angkor Thom and consists of 54 towers, each with 4 faces, have become one of the most recognizable images connected to classic Khmer art and architecture. Proceed to the Elephants Terrace, Terrace of the Leper King and the Phimeanakas. Next, visit Ta Prohm, a temple in its ‘natural state’ surrounded by jungles. Its stone hallways is overgrown with roots and limbs of the massive Banyan Trees which envelope the stones like tentacles. In the afternoon, visit the World Heritage – Angkor Wat, the largest temple in the world with a volume of stones equalizing that of the Cheops Pyramid in Egypt. The temple was built by King Suryarvarman !! from 1113-1150AD when the Khmer civilization was at the heights of its development represent one of the humankind’s most astonishing and enduring architectural achievements. In the evening, proceed to view the sunset at Phnom Bakheng (subject to weather conditions). After breakfast, visit Angkor Silk Farm and learn about the process of silk making from the mulberry bushes cultivation to the production of silk fabrics and accessories. Cruise at Tonle Sap Lake (largest inland body of water). Enjoy the spectacular view as you cruise along the Tonle Sap Lake which enables you to see fascinating fishing villages, one of Asia’s largest. Spend the rest of the afternoon doing a fun filled activity. You may choose One Option for the activity: Option A: Cooking Class : Learn to prepare Khmer dishes &amp; a visit to the local market. Option B: Charity Work : For the humanitarians, pay a visit to an orphanage. Option C: Eco -tourism : Oxcart rides, fishing and rowing in the ponds, cycling outdoors. Option D: Ceramic Workshop : Create your unique piece in a hands-on ceramic lesson. Overview: Be introduced to Siem Reap in this relaxed four-day trip as you explore the renowned ancient architectural structures of Angkor Wat, the calming faces of Bayon Temple and enthralling Ta Prohm ruins. Experience local culture and witness the long-thriving local craft such as wood carving and silk weaving then cruise the Tonle Sap Lake, a meaningful source of life eminent in its vast area. Spend your free time at the local markets and the night markets to complete. Assemble at the airport for your flight to Siem Reap. Siem Reap is a small colonial town, charming and pleasant enough to roam around with some fine examples of French colonial architecture. Upon arrival, meet and transfer to the hotel. Rest of the day is free at own leisure. After breakfast, visit the South Gate of Angkor Thom. The fortified city of Angkor Thom (Great Angkor or Great City), was built by Angkor’s greatest king, Jayavarman VII (1181 – 1219). The ancient walled city of Angkor Thom contains the famous Bayon Temple with its 200 over enormous, mysterious smiling faces. Visit the Elephant Terrace with its large sculptured royal elephants and garudas, Terrace of the Leper King, the Phimeanakas and Baphoun. Continue to visit Ta Prohm – a temple in its ‘natural state’. Surround by jungle, its labyrinth of stone hallways is overgrown with the roots and limbs of the massive Banyan trees which envelope the stones like tentacles. In the afternoon, you will start your tour to the World Heritage – Angkor Wat. The largest temple in the world with a volumn of stones equalizing that of the Cheops Pyramid in Egypt. The temple was built by King Suryarvarman II from 1113 – 1150AD when the Khmer civilization was at the height of its development, represent one of humankind's most astonishing and enduring architectural achievements. Angkor Wat, surrounded by a moat with an exterior wall with distinctively rendered Apsara carvings adorn the wall throughout the temple. The exterior walls of the lower level that display the most extraordinary bas-reliefs, depicting stories and characters from Hindu mythology and the historical wars of Suryarvarman II. In the evening, proceed to watch sunset at Phnom Bakheng. After breakfast, cruise the Tonle Sap Lake or Great Lake, is one of the unique geographical wonders of the world. During rainy season, the Tonle Sap River reversed direction, flooding the lake, increasing its size almost tenfold, making it the largest freshwater body in Southeast Asia. 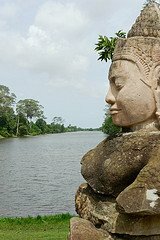 On the way back to town, turn to Artisans D’Angkor to discover the traditional Khmer techniques used for stone and wood carving, lacquering and gilding. A complete tour of the workshops will take you from raw materials to splendid craft-wares. 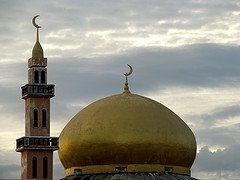 In addition, it also highlights wood and stone carving, lacquering and gilding crafts of sculptures and statues. The numerous items made in the workshops are inspired by the rich Cambodia heritage. Afternoon, visit the Angkor Silk Farm which consists of 8 hectare in rural Cambodia (16km west of Siem Reap Town). Visitors will discover and understand the whole silk production process, from Mulberry tree growing to silk weaving. Then visit Old Market / Pub Street. Tonight, enjoy your dinner with Khmer traditional dance show. After breakfast, free at own leisure until transfer to airport for your flight home. Depart by scheduled flight from Singapore. Upon arrival at Phnom Penh Airport, meet with the local guide and proceed to hotel for check-in. After Lunch at local restaurant, you will then start the tour to visit Silver Pagoda, Royal Palace, National Museum and Central Market. You will have your dinner at local restaurant. After breakfast, proceed to visit Killing Field (also known as Cheong Ek) and you may buy some unique souvenir at the souvenir shop and Russian Market. After lunch, continue to the Toul Sleng Museum, Independent Monument and Wat Phnom Temple. 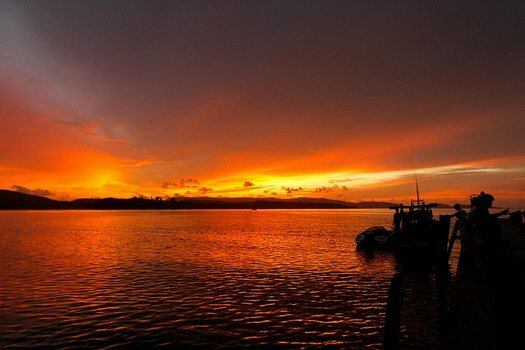 Lastly, you are going to enjoy an hour of boat ride along Mekong River, seeing the great scenery. Dinner will be served at local restaurant. Free at own leisure until transfer to the airport for your flight back to Singapore. Discover Cambodia's cultural jewels well hidden in the country's historical sites, people and places. This journey brings you to the capital city of Phnom Penh dishing out the experience of royal lifestyle as you visit the Royal Palace; learn the resilience of its people as you visit Toul Sleng Museum and relax a cruise along the Mekong River for a serene view of the city. Taking you northbound, Siem Reap lets you explore the renowned ancient architectural structures of Angkor Wat, the calming faces of Bayon Temple and enthralling Ta Prohm ruins. Experience local culture and witness the long-thriving local craft such as wood carving and silk weaving then cruise the Tonle Sap Lake, a meaningful source of life eminent in its vast area. Spend your free time at the local markets and the night markets to complete. Assemble at the airport for your flight to Siem Reap. Siem Reap – a small colonial town, charming and pleasant enough to roam around, with some fine examples of French colonial architecture. Upon arrival, proceed to Angkor Silk Farm. Angkor Silk Farm which consists of 8 hectare in rural Cambodia (16km west of Siem Reap Town). Visitors will discover and understand the whole silk production process, from Mulberry tree growing to silk weaving. Then proceed to a cruise at Tonle Sap Lake (largest inland body of water); Enjoy the spectacular views as you cruise along the Tonle Sap Lake, which enable you to see fascinating fishing village, one of Asia’s largest fishing villages. Visit the ancient fortified city of Angkor Thom (Great Angkor or Great City), was built by Angkor’s greatest king, Jayavarman VII (1181 – 1219). Located within Angkor Thom and consists of 54 towers, each with 4 faces have become one of the most recognizable images connected to classic Khmer art and architecture. Proceed to the The Elelphants Terrace, Terrace of the Leper King and the Phimeanakas. Next visit Ta Prohm, a temple in its ‘natural state’ surround by jungle. Its stone hallways is overgrown with the roots and limbs of the massive Banyan Trees which envelope the stones like tentacles. 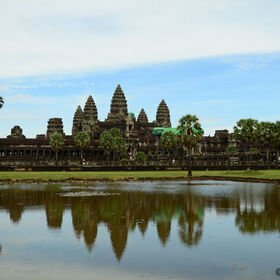 In the afternoon, visit the World Heritage – Angkor Wat. The largest temple in the world with a volumn of stones equalizing that of the Cheops Pyramid in Egypt. The temple was built by King SUryarvarman II from 1113 – 1150AD when the Khmer civilization was at the height of its development, represent one of humankind's most astonishing and enduring architectural achievements. Angkor Wat, surrounded by a moat with an exterior wall with distinctively rendered Apsara carvings adorn the wall throughout the temple. The exterior walls of the lower level that display the most extraordinary bas-reliefs, depicting stories and characters from Hindu mythology and the historical wars of Suryarvarman II. In the evening, proceed to watch sunset at Phnom Bakheng. This morning, Visit Artisans D’Angkor to discover the traditional Khmer techniques used for stone and wood carving, lacquering and gilding. The numerous items made in the workshops are inspired by the rich Cambodia heritage. And visit Old Market / Pub Street. Afternoon, proceed to Cambodian Cultural Village, a unique, sprawling cultural attraction, intended to introduce the Cambodian Culture and history. Interesting Wax Museum features scenes and figures from history. Full scales models of a variety of Cambodia architectural types, including different styles of huts and homes, hill tribe houses, pagoda and mosque. Tonight, enjoy buffet dinner with Khmer traditional dance show. Today, transfer by coach to Phnom Penh (approx. 5-6 hours) - the capital of Cambodia, is the commercial and political hub of Cambodia as well as home to nearly a million of the county’s 14 million people. Upon arrival, visit to Tuol Sleng Museum, known as the Museum of Genocidal Crimes. In 1975 Tuol Svay Prey High School was taken over by Pol Pot’s security forces and turned into a prison known as Security Prison 21 (S-21). It was used by the Khmer Rouge as a detention and torture center in the late 1970. Today the building houses exhibits, paintings and photographs of many of the victims. Visitors can see the crude cells built in the classrooms and the torture devices used to extract confessions. Next, Independence Monument. The Independence Monument (Vimean Ekareach) was inaugurated in November 9 1962 to celebrate Cambodia’s Independence Day and Constitution Day. Proceed to a cruise on the Mekong River which also enables to have a complete view of Phnom Penh city in serenity. After breakfast, free at own leisure until transfer to airport for your departure flight. After breakfast, begin your tour by visiting Oudong Mountain. After that, enjoy lunch at local restaurant then continue to the Toul Sleng Museum, Independent Monument and Wat Phnom Temple. Lastly, you will have your dinner at local restaurant. After breakfast at hotel, proceed to visit Killing Field (also known as Cheong Ek) and you may buy some unique souvenir at the souvenir shop. After that, take your lunch at local restaurant and you are going to enjoy an hour of boat ride along Mekong River, seeing the great scenery. Dinner will then be served at local restaurant. After breakfast, free at own leisure until transfer to The Phnom Penh Airport for your flight back to Singapore. After breakfast, you will proceed to visit Southern gate of Angkor Thom, Bayon, Royal Enclosure, Elephants Terrace, Terrace of Leper King and Ta Prohm Temple. Then you will have your lunch at local restaurant. After that, visit to the most famous Angkor Wat Temples and you will be able to watch the beautiful sunset there. Dinner served at local restaurant. Free at own leisure until transfer to the airport for your flight back. Depart by your flight from Singapore. Upon arrival at Siem Reap Airport, meet with the local guide and proceed to hotel for check-in. Then, you will be having lunch at local restaurant. After lunch, you will begin your tour to visit Angkor Silk Farm, Artisan D’Angkor and Cambodian Cultural Village where you can understand more about the local culture . Lastly, you will enjoy your dinner at local restaurant with cultural performance. After enjoying your breakfast at hotel, you will then visit Roluos Group: Preah Ko, Bakong, and Lolei Temple. Lunch will be served at local hotel. After that you will continue your visit to Banteay Srey and Banteay Samre Temples. Last, enjoy your dinner at local restaurant. After breakfast, proceed to visit Kravan, Srash Srang, Banteay Kdei, Takeo, Chao Say and Thommanon Temples. Then have your lunch at local restaurant. After that, visit to Preah Khan, Neak Pean, Tasom, Mebon and Pre Rup Temples. Last, enjoy your dinner at local restaurant. After breakfast, free at own leisure until transfer to The Siem Reap Airport for your flight back to Singapore. Depart by your flight from Singapore. Upon arrival at Siem Reap Airport, meet with the local guide and proceed to hotel for check-in. After that, you will be having lunch at local restaurant. After lunch, proceed to visit Southern gate of Angkor Thom, Bayon, Royal Enclosure, Elephants Terrace, Terrace of Leper King and Ta Prohm Temple. Lastly you will enjoy your dinner at local restaurant with cultural performance. After breakfast, you will proceed to visit Kravan, Srah Srang, Banteay Kdei, Chao Say and Thommanon Temples. Then you will have your lunch at local restaurant. 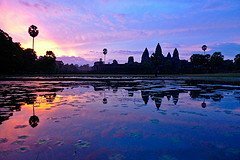 After that, visit to the most famous Angkor Wat Temples and you will be able to watch the beautiful sunset there. Dinner will be served at local restaurant. Depart for Siem Reap on your scheduled flight. On arrival, transfer to hotel for check in. After lunch, we will visit Angkor Silk Farm, Artisans D’Angkor and Cambodian Cultural Village. Lastly, enjoy your dinner along with a cultural dance performance. After breakfast, we will visit Banteay Temple, Southern Gate of Angkor Thom, Bayon, Royal Enclosure, Elephant Terrace, Terrace of Leper King and Ta Prohm Temple. After lunch, continue your journey to the Angkor Wat Temples and watch the sunset. After breakfast, proceed to the bus terminal and transfer to Phnom Penh by public bus. Upon arrival, transfer to hotel for check in. We will visit the Silver Pagoda, Royal Palace, National Museum and Central Market. Free and easy after breakfast until your transfer to the airport. Home sweet home.